Large plants make a bold, beautiful statement in your flower garden. Large, single flowers with yellow center bloom from midsummer on. Easy to grow. Graceful for backgrounds, borders and bouquets, with seed heads that attract birds. Tolerates poor soil and hot, humid conditions. GARDEN HINTS: For earlier bloom, plant seeds indoors about 6-8 weeks before outdoor planting time. Cultivate or mulch to control weeds. Cosmos, Sensation Mix is rated 4.3 out of 5 by 14. Rated 2 out of 5 by Paninan from Disappointing I live in northwestern Minnesota so the seeds were started indoors and transplanted outside the firstvweek in June. They are thriving but are totally white. The package says”mixed”. I planted a dozen plants thinking that would be enough. Another reviewer said theirs were predominantly mauve. I’d like to know why they cannot have a true mix. It’s too late now to plant anymore and I amd extremely disappointed. Rated 5 out of 5 by silverpitch from Late blooming but beautiful I'm writing a review to warn people that these cosmos may keep you waiting a long time for blooms. I planted mine in late May, and they bloomed in mid October! Before then they were gorgeous vigorous plants with lots of fronded branches which still complemented my Rubenza cosmos which bloomed very early but whose leaves were spindly and sad. I wish I had known that the Sensation Mix cosmos would bloom so late: I cut down half my plants in despair in September and missed out on a spectacle of blooms. The remaining plants are still bursting with flowers and buds at the end of October. Rated 5 out of 5 by LTthegardener from Great seeds and service! I bought fours packets of Cosmos seeds and they are growing beautifully. But, I was even more impressed with Burpee customer service when I had a hiccup with my order. That will keep me coming back -- thank you! Rated 3 out of 5 by Gary the wanabe gardener from Waiting patiently I was late in getting them planted, 5/16/16. They were planted in rather heavy soil, but I tried to condition with a lighter mix. They are in full sun and are growing well at 3 1/2 ft and the green foliage looks great, but so far 8/28/16 no blooms. Getting concerned. The package reads 65 days, but do not see a time to bloom on this info page. Rated 5 out of 5 by Izmeister from Lovely Cosmos! Beautiful, carefree flowers! This was my first time growing cosmos and it won't be the last. I direct sowed them on March 30, and the blooms started appearing as soon as June 1. Keep in mind that each individual plant will produce flowers of the same shade of pink, so if you want a wider variety of color, plant several cosmos together to get an array of blooms. 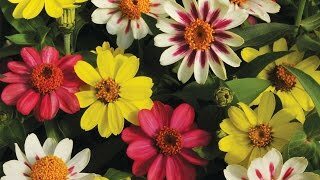 Rated 5 out of 5 by Mayflowers from Beautiful Cosmos Cosmos are one of the easiest seeds to grow. They are delicate looking with their fern foliage, but do not be deceived as they are very hardy! They make great cut flowers that last. You must have these hassle free flowers in your garden. Rated 4 out of 5 by Chris515Gardener from Colorful cosmos! Great type, but I planted it in more of a clay type soil, and could of watered it more during the summer. It only reached less than a foot tall, but the blooms were very colorful and after they dried up they seeded. I'll have to see in the Spring iff they come back up!